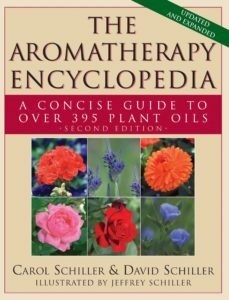 Carol and David Schiller, recognized experts in the field of aromatheraphy and plant oils, have created a comprehensive reference book. Includes a general introduction to proper safety, preparation, and usage of the oils, and what to watch out for in commercial products. Separate chapters provide descriptions of the essential oils, carrier oils, and infused oils, deetailing their derivation and history, documented properties, and armatherapeutic methods of use. With category listings of oil properties and cross-reference lists from botanical to common names.